If you are going through a season of pain, I have stood where you stand. If you are experiencing significant challenges, I have sat where you sit. If you feel like your life makes no sense right now, I did too. If your bank balance makes you cover your face, oh dear – you are not alone. If you are considering quitting… now stop right there. If there’s one thing that’s not an option for you, it’s quitting. There’s no testimony for those that give up – click here to share that. Your story may not be complete yet, but whose is? We all are work in progress. You can lose anything in this world, but never lose hope. Let that be the fuel of your soul’s pursuit. 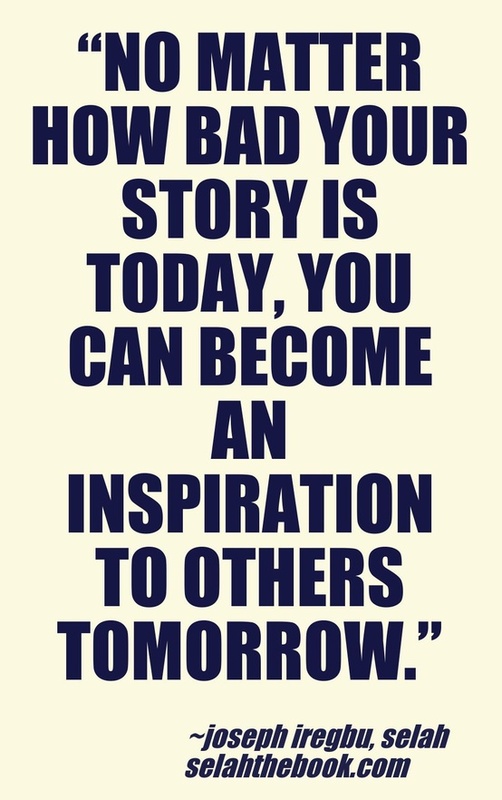 No matter how bad your story is today, you can become an inspiration to others tomorrow. How are you using your story to influence those around you positively?